Remember the spawn area is 400*400 so your spawn shouldn't be bigger than this. Most spawns don't get anywhere near this big though. Try and give your spawn exits in each of the 4 directions and don't give a bias to one particular direction. 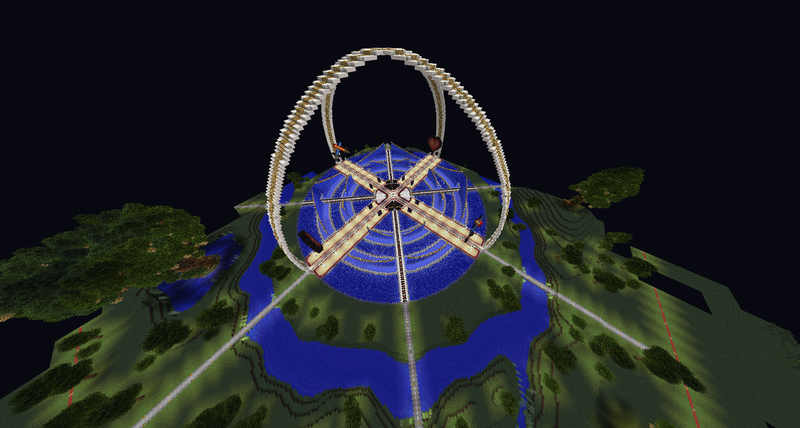 There should be a portal (or portals) somewhere within the spawn. Leave space for the admins to add signs with the rules in a place visible immediately from the spawn point. Don't have any "cheaty" blocks like anvils or enchanting tables in your build. Crafting tables are fine. Build whatever you like but remember that admins reserve the right to make any changes to your spawn they deem necessary if it wins the competition. If your spawn doesn't win but still gets plenty of votes then you're welcome to enter it into the next map's competiton. We also reserve the right to use any of the spawns submitted at a future date. i vote for the svenboogie spawn!